What do I love about Thanksgiving??? It’s all about grilling the turkey and eating. Of course, being thankful for what we have, especially our family and friends. This is one of those holidays that I have two, sometimes three grills going at the same time. The turkey on one, side dishes and appetizers on the others!! In the US, turkeys are raised mostly for meat production. 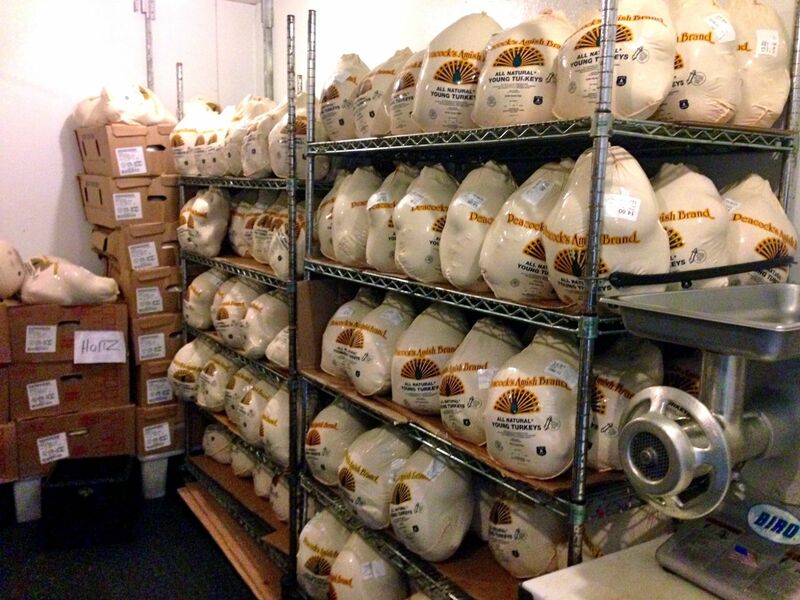 About forty five million birds will be consumed for Thanksgiving alone!! Most consumers prefer breast meat to dark meat. Gone are the days of dried out breast meat and under cooked thighs. Here to stay are locally grown and cared for turkeys, that result in a fresher and tastier bird. Heritage Turkeys are a throwback to how turkeys used to taste a few hundred years ago. They are becoming more and more popular every year. Heritage turkeys have a slower growth rate, and a longer life. They live mostly outdoors, and mate naturally. The meat has a stronger flavor, almost gamy. There is also less white meat on these birds. Organic Turkeys are fed a diet of only organic feed; mostly a combination of corn and soybean meal. They do not administer any antibiotics in these birds. The price of organic feed is about three times the price of conventional feed, which is why they are pricier. Pasture Raised Turkeys are raised outside and allowed to hunt for insects and eat some grasses. They are also fed to ensure proper nutrition. This varied diet produces more flavor in the meat. Free Range Turkeys are allowed to roam freely outdoors for at least part of the day, instead of being cooped up in a house 24 hours a day. This creates a less stressful environment. The outdoor area is more than likely fenced in. All Natural Turkeys have no artificial flavorings or preservatives. But may include natural flavorings. They are minimally processed. At my shop, we sell an All Natural fresh turkey that is locally grown on small Amish farms. They do not ship these birds across the country, allowing them to maintain freshness. They are raised in open, spacious houses with plenty of fresh air and water. Most turkeys are between four to five months old. A young turkey must be less than eight months. Hormones are not allowed in raising turkeys. Antibiotics can be used to prevent disease but must have a withdrawal period before slaughter to ensure no residue is in the bird. Most frozen turkeys are self-basting. This means they are injected with a solution that may contain butter or margarine, broth, water, salt, and flavor enhancers. Check the label for ingredients and percentage of added solution. Frozen turkeys are chilled below zero degrees. Fresh turkeys are chilled between twenty-six and forty degrees. Today, both Hen turkeys and Tom turkeys have the same meat ratio and should be equally tender. Here are 2 key tips that I will leave you with. 1. If you buy a frozen turkey, PLAN AHEAD. That bird will take about one day for every five pounds to safely defrost in your refrigerator!! 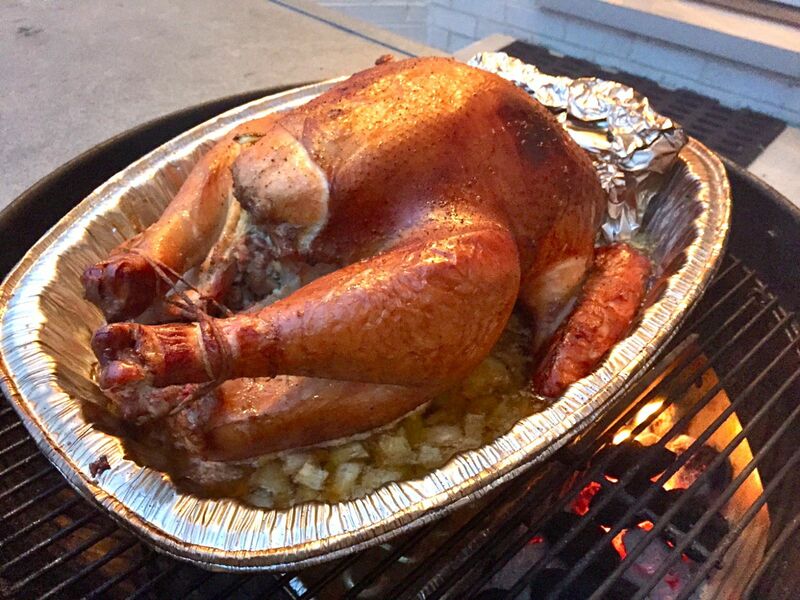 Leave the bird in its original package and place a drip pan under the bird so it doesn’t leak onto something else. Never defrost at room temperature!! 2. When trying to figure out how much turkey you should have for your guests, I suggest one pound per person. If you have big eaters, or want some leftovers figure a pound and a half per person. After all, who doesn’t love Turkey leftovers?? Looking for more turkey inspiration? Be sure to check out more tips here. Can I Build My Grill Into a Structure?